While the modern pellet smoker grill has been around since the late 1980’s, the marketing battle of Traeger Grill vs REC TEC is much more modern. After he invented many of the technologies involved in this brilliant tool, Joe Traeger took out a patent that prevented competitors from entering the market. This patent didn’t expire until 2006, giving Traeger and his grills a huge leg up when it came to selling pellet smokers. 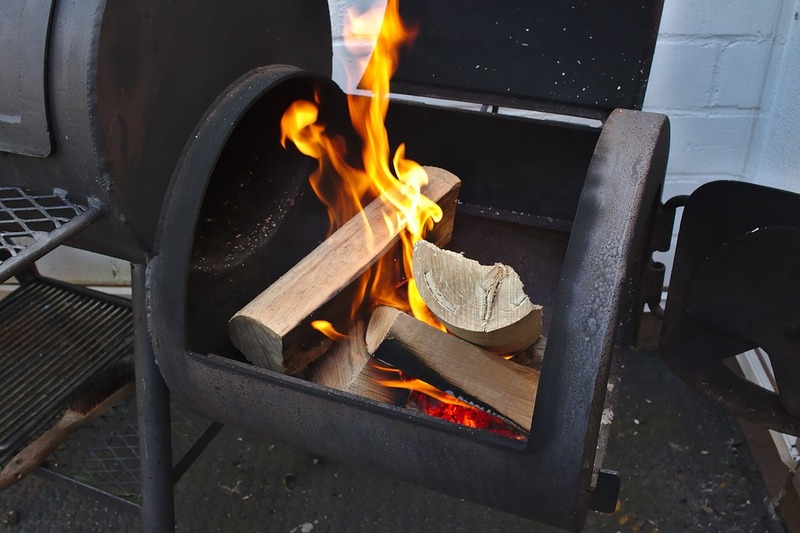 In 2007, however, the barbecue world was blessed by a sudden influx of innovation from new companies that sought to make better pellet grills than Traeger for less money. REC TEC is one such company. While their grills are often more expensive than somewhat comparable Traegers, REC TEC arguably offers higher quality grills that come fully loaded with luxury features. Because of this, many people – including this reviewer – think that it’s usually a good idea to choose REC TEC over Traeger unless you can find modern Traeger smokers offered at a significant discount. 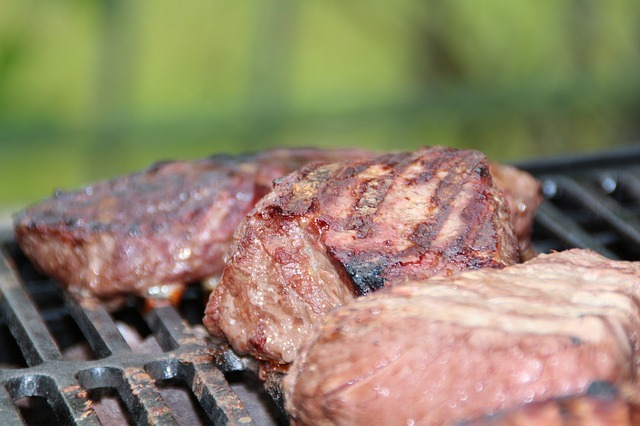 In order to find out more, let’s examine the specific features of several grills. While I’ll certainly admit that there’s some room for debate, I think that this REC TEC grill might be the best pellet smoker on the market. It’s big, it’s advanced, it’s easy to use, and the included features and accessories will save you a lot of time and headache. There are two key parts of this grill that pop out to people who are experienced pellet grill owners. First, it’s got a 6 year warranty. Pellet grills don’t last forever. Even some of the better grill manufacturers expect their smokers to die after about three years of use. Six years of full manufacturer coverage ensures that REC TEC thinks that this grill will last. While the raw price of this smoker might be higher than some competitors, you’re getting a lot more VALUE due to the extra years of use. The second major feature is the 40 lb hopper. Big pellet smokers can burn a lot of fuel, especially on high. While you can usually get away with filling your 18 lb hopper and leaving your smoker to run overnight, you’ll run into problems for some combinations of heat, time, and ambient temperature. Having more than twice as much raw hopper capacity as your run-of-the mill backyard smoker ensures that this REC TEC is truly a set-and-forget cooker. The electronics in this unit blow pretty much everything else out of the water, including Traeger’s modern (and flawed) Timberline models. First of all, the auger and fan are hooked up to a PID controller, which is a multi-industry acronym that stands for proportional-integral-derivative. Without going to deeply into the specifics, this type of chip is very good at compensating for both long-term factors (like the air temperature) and short-term factors (like a gust of wind). It’s the same type of controller that’s used in the cruise control of your car to keep your speed constant while you go up and down hills. By contrast, Traeger uses a pretty old knob-style controller that only makes small adjustments to a pre-programmed auger turn rate. The REC TEC PID controller is MUCH more accurate, ensuring that you can leave a brisket out for hours with no substantial deviations from your programmed cooking temperature – unless you run out of fuel, of course, but the aforementioned 40 lb hopper makes that highly unlikely. Grill temperature control is nice. It’s not the end-all, however. The temperature you really care about is the one inside of your meat. Most grillmasters rely on wireless meat probes in order to accurately read the internal temperature of their brisket, ribs, or poultry. Not wanting to be outdone by a $50 accessory, REC TEC has included a similar set of meat probes and hooked them up to a wireless transmitter that can broadcast information to your local network. This means that you can check on the status of your barbecue from inside the house without purchasing anything other than a router and a phone. To top things off, the PID can be programmed to respond to the internal temperature of the meat as well as the temperature of the grill. This is one of the neatest features ever, since it takes literally all of the guesswork out of cooking. Once you’ve learned how to set things up properly, you can trust your grill to cook things absolutely perfectly. It’s really, really cool. The inside of this massive grill sports 702 square inches of cooking space (it’s in the model number). This is admittedly pretty overkill for casual barbecue, but it means that you’ll have plenty of room for massive neighborhood cookouts. If you think you can get away with cooking a mere two briskets side-by-side, consider the RT-340 Trailblazer instead – it’s got a similar set of features and is a bit cheaper. One of the things that helps to differentiate REC TEC from Traeger is the inclusion of accessories with normal grill packages. This REC TEC smoker comes with a grill cover and a whopping 160 lbs of hardwood pellets to get you started. 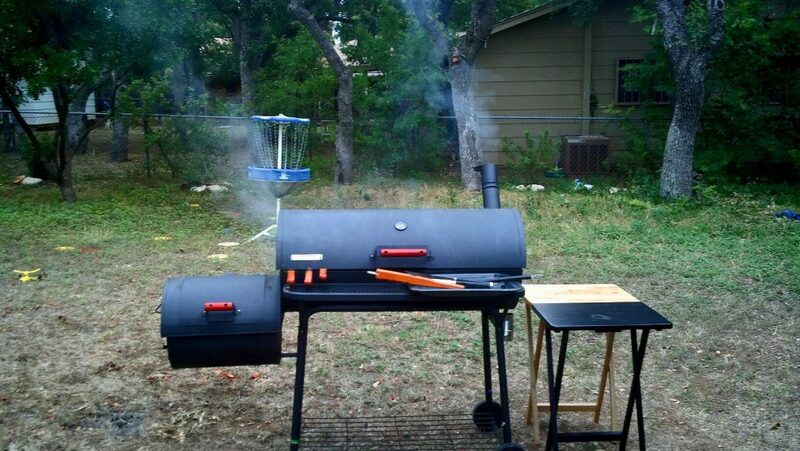 Traeger usually charges extra for packages that include these. While they’re probably reflected in the purchase price of the RT-700, it’s worth noting that a comparable Traeger will NOT come with these things. My casual math estimates that these accessories are worth about $200 in round numbers. 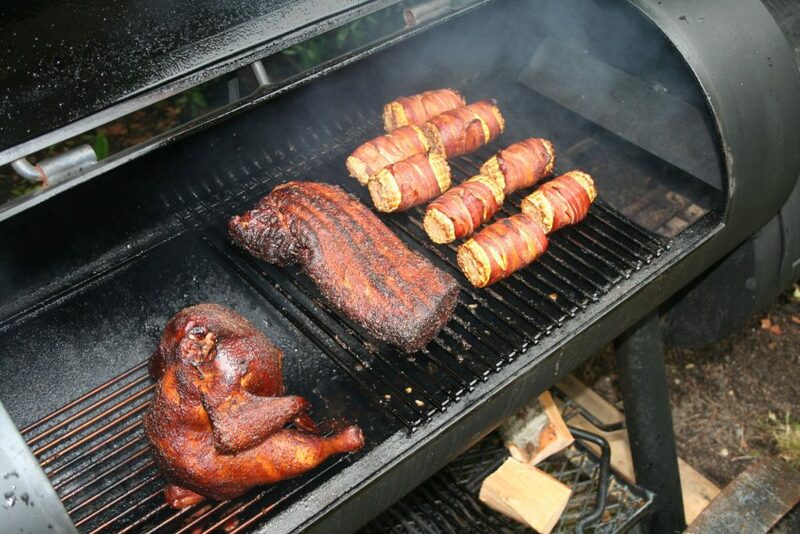 The sum of these features, advantages, and accessories make this a very, very good pellet smoker. While the hefty price tag might not fit in every budget and the colossal amount of cooking area might be overkill for some families, the RT-700 is one of the best pellet smokers on the market, period. I think that any serious barbecue enthusiast who cooks large quantities of meat, vegetables, or fish at once should strongly consider choosing the RT-700. The RT-340 is pretty much a half-sized RT-700. This means you get a bit less than half the cooking space, a much smaller hopper, and a somewhat more accessible price. Key features, including the advanced PID controller, built-in WiFi, included temperature probes, and the thoughtful inclusion of 80 lbs of pellets and a premium cover, remain very similar. 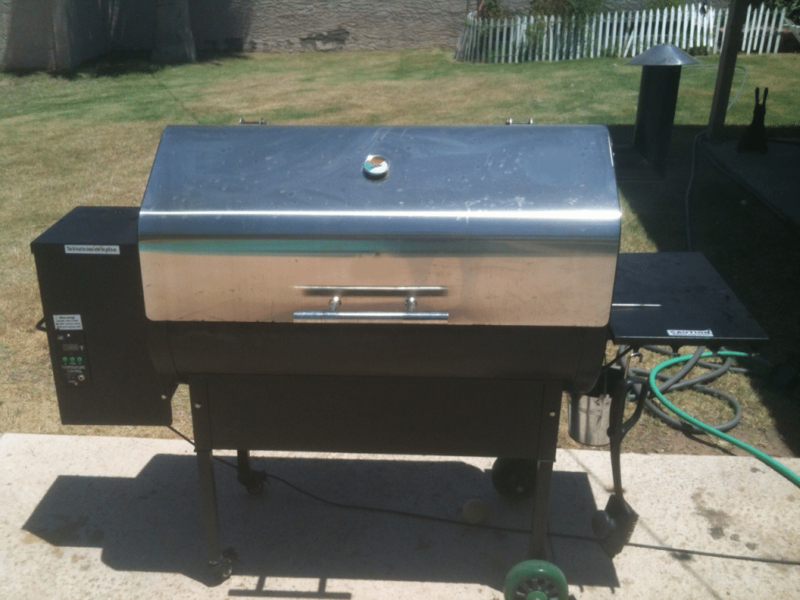 The inclusion of plenty of pellets as well as a cover and grill pad inflates the price of this smoker somewhat. Trust me, these are things you want to have. Be sure to add the cost of a cover and pellets to any other smokers you compare this to. REC TEC really knows its way around the pellet smoker. While this smoker is missing a few features that you can find from some other brands (notably, Camp Chef’s pellet dump hole), they’ve included a nifty light in the lid that’s incredibly helpful should you feel the need to look at your meat while it cooks overnight. While that’s not always a good idea (you almost never flip barbecue), it does speak to REC TEC’s knowledge of its target audience. After all, many of us are buying these smokers with the intention of setting them up so they work overnight. If the RT-700 is the right smoker for people who are serious, this is the right smoker for anyone who’s a bit more casual. 340 square inches of rack space won’t feel cramped unless you’re trying to smoke meat for a colossal cookout in one sitting, meaning that you’ll be totally fine to smoke several racks of ribs or a couple of briskets at once. While you might feel the loss of the massive 80 lb hopper, your wallet will appreciate the price drop from the big RT-700, and you’ll gain some porch space to boot. Overall, I think that the features included in the RT-340 make it a top choice for anyone who wants to make competition-quality barbecue in their backyard. It’s advanced, affordable, and nearly worry-free. On the surface, this Lil Tex Elite 22 is comparable to the RT-340. It’s got a temperature controller, a hopper, and 418 square inches of rack space, allowing you to fill the hopper with pellets and come back in six to ten hours to enjoy five racks of perfectly smoked ribs. 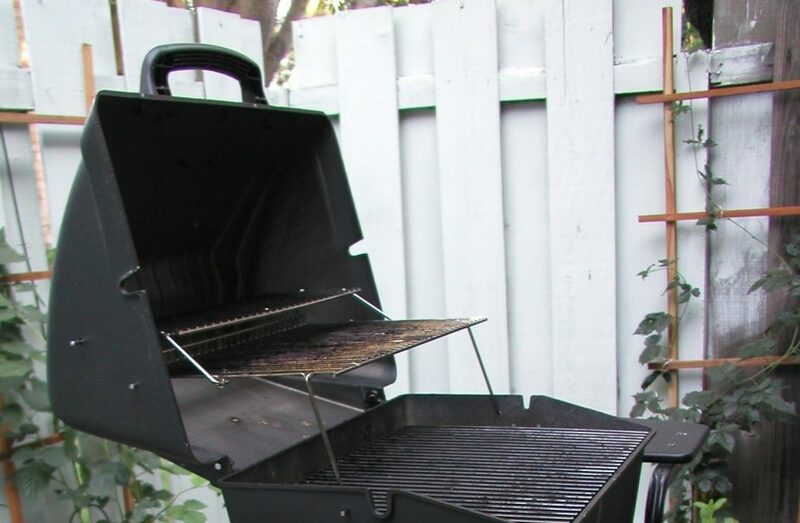 Nevertheless, I feel like this grill is simply an inferior choice to the REC TEC model above. To understand why, let’s talk about the features of this grill in a bit more depth. For starters, let’s discuss the temperature controller. 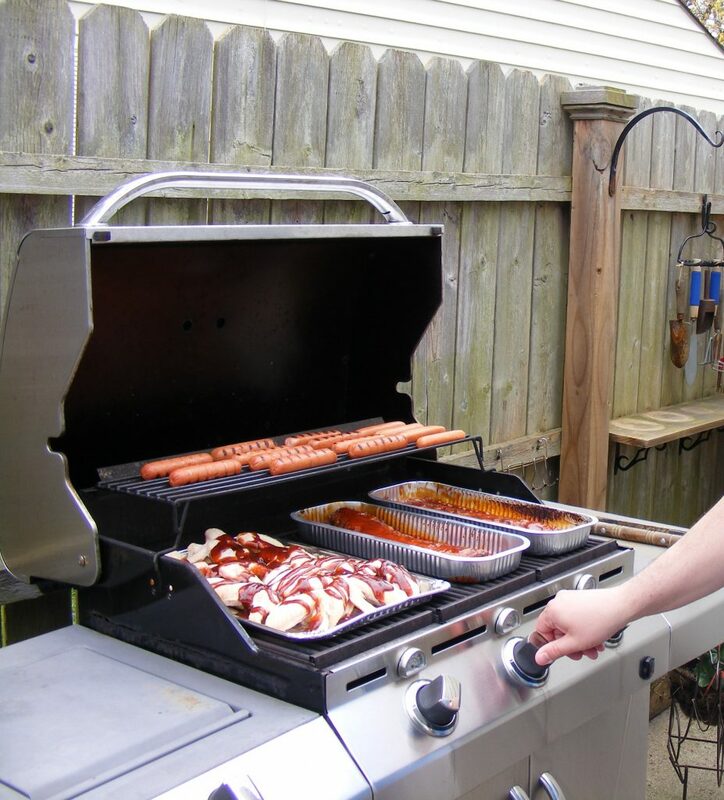 This Traeger uses a modified Ortech knob-style controller that has a bank of auger speeds and temperatures. Twist the knob to your desired temperature and the auger will feed fuel at a pre-programmed rate that’s been chosen to deliver just the right amount of heat to your grill. Sounds good, right? The issue with the Traeger controller is the way it responds to outside conditions. The pre-programmed rate might be absolutely ideal when it’s 70 F outside, but what about when it’s 40 F? What about when it’s 110 F? Traeger has thought of this and has wired an internal thermometer up to the controller, but it can only make coarse adjustments that can’t control the internal grill temperature in the precise way that a PID controller can. As such, Traeger advertises their smokers as having a temperature range of plus or minus 20 degrees. Now, barbecue is somewhat forgiving. The difference between smoking a brisket at 250 and smoking a brisket at 270 isn’t always that big. The difference does exist, however, and this is clearly a solvable problem. PID controllers have been used for many decades when it’s important to adjust a value based on changing conditions. Traeger has simply chosen to use a cheaper chip to cut costs. Astute readers will recall that the RT-340 (and 700) not only feature a more advanced PID controller (which keeps temperatures within 5 F) but also built-in meat probes and a Wi-Fi interface that can connect to your phone. The Lil Tex Elite offers none of these features. Traeger’s new Timberline smokers offer some of them, but they’re roughly double the cost of either the Lil Tex Elite or the RT-340 and offer few other features that make up for this huge jump in price. Speaking of price, the Lil Tex Elite is offered in a number of packages. Some of these come with a grill cover and a few pounds of pellets. Some of them don’t. Be sure to factor the value of these accessories into any price comparisons you make with the RT-340 above. There are a number of other shortcomings that you might find with this Traeger – the lack of a light, for example, and the somewhat frustrating fan controls – but it’s important to note that despite these downfalls, this is not a BAD grill. Instead, it’s a perfectly acceptable pellet smoker that’s simply slightly worse than the competition. If this grill is on a steep sale (as it often is), then it may very well be worth buying over the REC TEC units above. Sure, it might not be as consistent or as user friendly, but if you can save a hefty chunk of change by choosing this pellet smoker over a different brand, do it! You’ll still be able to make excellent barbecue with a fairly small amount of effort. Overall, I feel like the Traeger Lil Tex Elite 22 is slightly worse than the competition. On sale, it’s a pretty good pellet grill, but I wouldn’t want to pay full sticker price. The Traeger grill problems you’re likely to have simply stem from the outdated electronics and high MSRP. If you can ignore these (and you can!) then you can still cook delicious BBQ. Pellet grills ship disassembled, so you’ll have to put a few parts together before you can start smoking. This means that you can (accurately) claim that your grill was made in whatever country you live in. The more serious answer is “China.” Both REC TEC and Traeger utilize Chinese manufacturers to perform some key steps in the construction of their grills. Final assembly isn’t necessarily completed there – REC TEC definitely ships these smoker parts to the US and puts them together before shipping them to you – but there’s a Chinese factory involved in the manufacture of every smoker from both brands. Traeger enthusiasts are key to point out that Traeger smokers accounted for some 80% of all home-owned pellet smokers a few years back. What they’ll fail to tell you is that Traeger’s exclusive patent on key pellet smoker technologies expired a bit over a decade ago. This means that the rest of the market has had to hit the ground running in order to catch up to this barbecue behemoth. While brands like REC TEC might not be as popular as the more traditional Traeger, they’ve done a brilliant job of offering improvements on the classic Traeger design that help to differentiate their products. For my money, REC TEC smokers are slightly better, slightly cheaper, and slightly more durable than comparable Traeger grills. These differences aren’t huge, of course, so if you can find a Traeger on sale, feel free to buy it, but I think that they’re definitely worth mentioning. At sticker price, I find that REC TEC’s combination of features, quality, and price beats Traeger clean. So what’s the best Traeger grill? A REC TEC (or a Camp Chef, or one of a handful of other top brands). If you want to get a powerful, easy to use pellet smoker that won’t break the bank, look at other brands. Traeger’s current team seems to be relying on their grandfathered-in market share from back when they were the only option. Now that the playing field has been opened up to other brands, I think that Traeger is no longer the best choice in pellet smokers.